An (unofficial) map of the Special Rule Zone, Holding and Box can be found here. 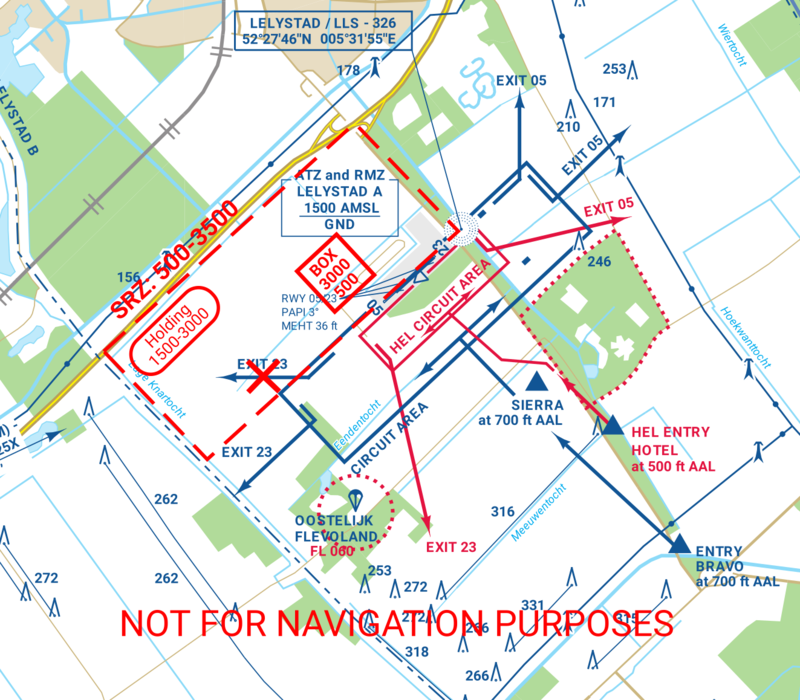 All official information regarding arrival and departure procedures at Lelystad airport can be found on the website of AIS Netherlands. The “performance zone” is shown here.